Just in from Meath Chronicle in Ireland! 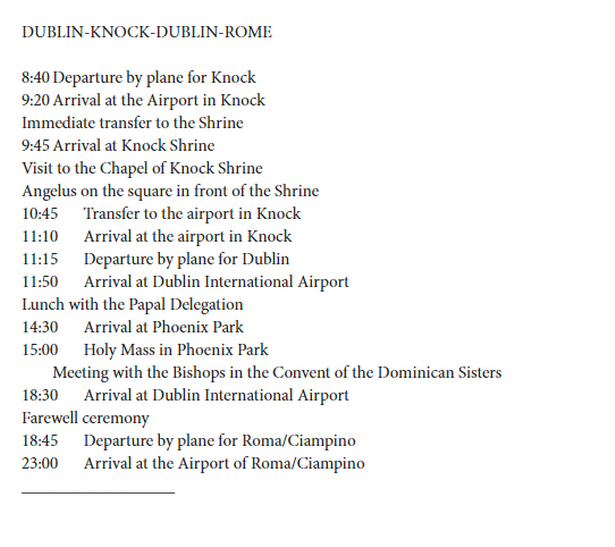 Oldcastle's Fr Ray Kelly will entertain the crowds at the papal mass in the Phoenix Park on Sunday as well as concelebrating mass with Pope Francis. The talented Fr Ray will perform for his biggest ever live audience, as he has been asked to join the entertainers who will entertain the crowds of half a million people both before and after the papal mass. He is also delighted to be concelebrating the mass with Pope Francis. "It is a great honour for me. I am absolutely delighted," he said. Some weeks back, Fr Ray had admitted to being diappointed not to have been asked to sing at the mass. The Oldcastle PP is looking forward to travelling with his parishioners to the mass on Sunday. "There is a busload going. There will be a lot of walking, but there will be a party atmosphere," he predicted. Fr Ray has had a busy year, having competed on Britain's Got Talent earlier this year and wowing the judges, including Simon Cowell , who led a standing ovation . Fr Ray sang REM’s ‘Everybody Hurts’ in the live audition and got four ‘yes’ votes from judges . 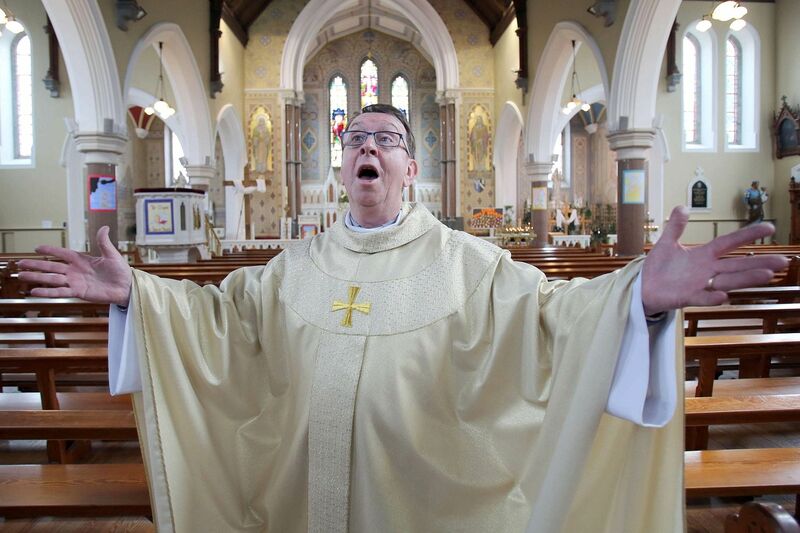 Fr Ray became an internet sensation when a video of him singing a version of Leonard Cohen’s ‘Hallelujah’ at a wedding in Oldcastle in April 2014 was uploaded to the internet and went viral. 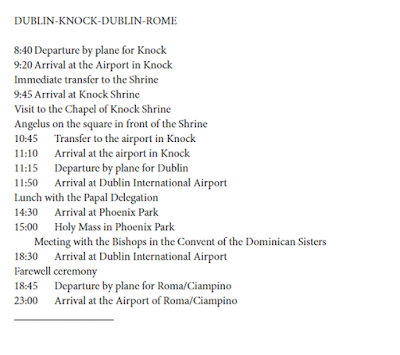 We are gathering all these announcements on the Events Page of this blog http://www.fatherraykellynews.com/p/events.html and adding website, location and all the info on each appearance as we research it or receive it. Make your plans now! 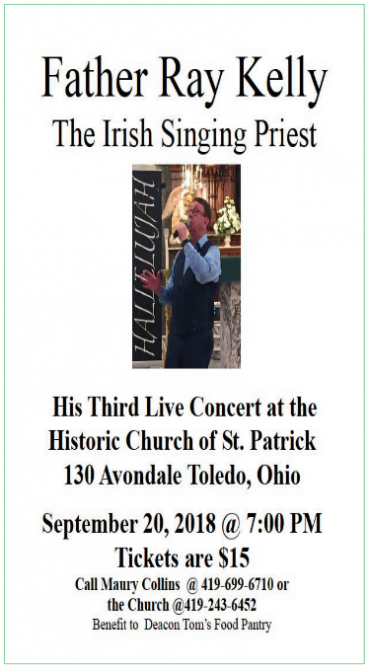 2018 Father Ray Kelly USA Tour: First state unveiled! We had a GRAND time with Father Ray Kelly in Greeley Nebraska last year! Awesome little town (and I mean little...), great accommodations, beautiful farm fields and deer...We had a storm, we had meals and laughs, we had a fantastic time and great beer in the Greeley Irish Festival. 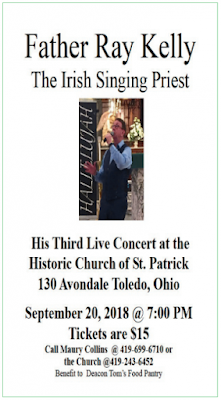 Thousands attending, all cheerful Irish folk from the surrounding communities, very welcoming to our favorite Irish priest. We sold out of Father Ray CDs in three hours!